How Are Players Affected Financially By Buy-Outs? I compiled the data for all the players bought out by their teams since the 2005 lock-out (excluding this year’s buy-out class) and examined how much of the the money lost to the buy-out they made back over the years that were bought out. When players are bought-out, they get a portion of their previous contract, and are given an opportunity to re-enter the free agent market. Potentially, they could end up a net winner from the process. Only NHL contracts post-buyout were considered, so if a player went and got a KHL contract afterwards, the money from his new deal doesn’t count towards the totals presented here. Salary deferral is another factor not considered. When a player is bought-out, he is paid the buy-out amount over twice the years remaining on his contract. So there is some time-value considerations that are ignored by these figures. Only 16 of the 83 players bought-out made were in the black due to their buy-outs. Complicating matters a bit are three players who still have some earning potential over the life of their bought-out contract. With his $22.5 million contract from the Flyers, Vincent Lecavalier has already made up more than the difference from his buy-out, but he could potentially have two more earning years once his current contract expires. 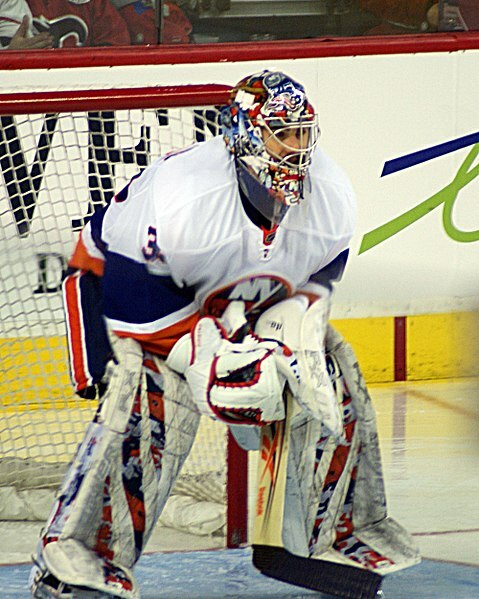 On the other end of the spectrum, Ilya Bryzgalov has six years to make up a $9.5 million deficit. Besides Lecavalier, 14 players have made up more than the money lost from their buy-outs over the contract length. Vinny Prospal leads the group with more than $2.6 million earned above the money lost to buy-out. After Tampa Bay bought the final three years of his contract, he earned $6.13 million on three one-year deals. 38 players didn’t get another NHL contract after their buy-outs. A pair of Islanders lead the group with a combined $20+ million lost to buy-outs. 27 players did continue to play in the NHL, but didn’t earn more than they lost to their buy-outs. A pair of Glen Sather signings, Gomez and Redden, lost $7.6 million to their buy-outs. Ray Emery lost $3 million, aided by the fact that his age entitled him to only a 1/3 buy-out. Colin White and Colby Armstrong broke even. In summary, while it’s possible for players to benefit financially from a buy-out, it’s more often the case that they don’t.